There are Doctor Who Conventions, Star Trek Conventions and Comic Cons. 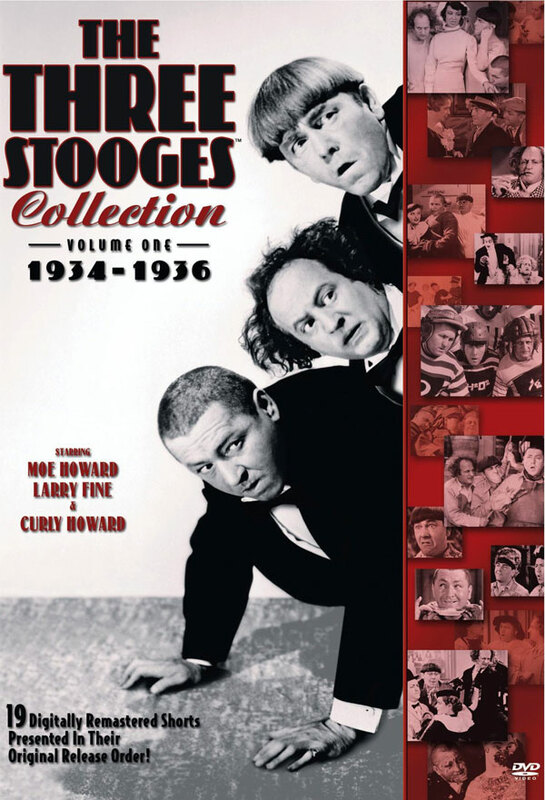 Did you know there are also Three Stooges Conventions? For many years throughout the 1970s and 1980s, Three Stooges Conventions were abundant. But over the years they have become less frequent and few in fandom even know they exist. There was one in St. Louis, Missouri, and another in Amber, Pennsylvania in 2014, there was a Three Stooges Fan Club Convention in 2013, and this weekend right outside Philadelphia there will be another... this one featuring the family relatives of The Stooges, along with the cast of the 2012 motion-picture. Heavily promoted, this event may just be the largest on the East Coast in many a year. The Three Stooges were not the only comedy shorts being produced by Columbia Pictures. Vera Vague, Hugh Herbert, Charley Chase and many others were filmed on rotation and just as funny. Sadly, The Three Stooges overshadowed the others and only die-hard film buffs are even aware of who Hugh Herbert and Vera Vague are. A number of Andy Clyde comedies appeared as bonus films shorts on a Three Stooges DVD, as well as a number of Shemp Howard solo films which are equally fascinating because you see Shemp recycling some of the same comedy bits that would later appear in Three Stooges comedies. Die hard fans of the knuckleheads will assert lost Three Stooges discoveries every year. In 2012, Surprise, Surprise! (1937), a Columbia comedy short shot in color with Moe, Larry and Curly, was screened at the 32nd Annual Cinefest Film Festival in Syracuse, New York. It was, briefly, a comedy short specifically designed to promote Farina breakfast cereal, manufactured by Pillsbury. The theater audience was reminded to pick up two boxes of the fluffy stuff on the way back home and their purchase would qualify them to acquire a toy movie viewer. Pillsbury and Columbia put a lot of work into the short and The Three Stooges certainly do not appear as to have just walked off one set in costume and began filming another. Pillsbury, in 1937, even promoted the toy movie viewer in newspapers, store displays and during the commercials of Today's Children, a radio program Pillsbury was sponsoring at the time. This comedy short has rarely been mentioned or listed in Stooge filmographies or reference books, hence the rarity of the short. Until recently, it was thought that the short was not known to exist and was "lost." Two years ago a comedy film short, Hello, Pop! was discovered, a "lost" Three Stooges film, and has since been restored and commercially released on DVD. Who knows what new Stooges discoveries will be found in the coming years? Fans of the shorts believe the comedy went by the wayside when Curly Howard made room for Shemp, but in fairness, the Shemp shorts are funny. Moe, Larry and Curly had just as much chemistry as Moe, Larry and Shemp. But one has to remember that The Three Stooges were created during the height of the Depression. You can tell by watching the first half dozen shorts that they were unable to figure out how to create the comedies. In "Women Haters," the boys are doing their schtick in rhyme. In "Men in Black," they were attempting to be as zany as the Marx Bros. Eventually they discovered a formula that worked with Laurel and Hardy and the Our Gang comedies: established victims of the Great Depression and routinely create disaster for the wealthy, upper class. This is why The Three Stooges are painters, plumbers, milk men, ice men, garbage men, pest exterminators, and so on. The upper class laughed at the "stooges" on the screen and the lower class laughed at how they messed up the rich woman's plumbing or crashed a wedding party with a cake fight. It was a formula that steered off in another direction by the time Curly was making his departure and Shemp was entering the picture. By the early to mid-forties, they were the owners of a respectable tailor shop and knights attempting to rescue a princess. The formula worked best when they were Depression-era stooges. When I was a kid, I enjoyed the slapstick. As an adult, I now enjoy the one-liners. When the Stooges enter a mansion owned by a wealthy industrialist, Moe remarks, "Just look at the joint!" And Larry adds, "Kind of reminds me of reform school." When the Stooges were doctors and asked, "What did you do for the patient in room 234?" Moe remarks, "Nothing. What did he ever do for us?" The Chronological Series -- a must have! From April 1 to 3, 2016, Baron Conventions, LLC, will be hosting a Three Stooges Convention at the Radisson Philadelphia Northeast Hotel in Trevose, Pennsylvania. The three day weekend will celebrate the mirth, merriment and mayhem of The Three Stooges. Authors of recently-publish books will talk about their favored subject matter, family relatives will talk about the actors who played the leads, and the cast of the 2012 motion-picture will talk about making the movie. Could there be a sequel in the works? Only the cast can divulge the truth. There will be a gallery of rare Three Stooges collectibles, a screening of a new Three Stooges documentary, autographs from actors who worked with the Stooges, Saxon Sitka talking about his father, Emil Sitka, a history of Ted Healy and much more.